I often get asked about the difference between window repair and glass repair in Las Vegas. Essentially, they are two different things but it’s easy to confuse the two especially when essentially, they are the same thing. 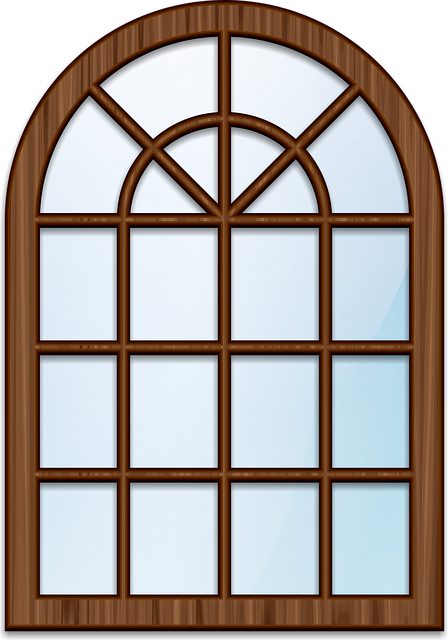 A window repair usually refers to the actual operation of the window itself. Maybe the lock was broken or the window doesn’t slide right. Possibly even the rollers could be seized up and sometimes the balancers go bad. Balancers are the metal springs on the side of a window that holds a single hung window up. A single hung window is one that slides up and down. The difference with glass repair is it usually refers to broken glass repair, and the glass isn’t repaired, its technically replaced, but that is another topic altogether. When it comes to Window Repair Las Vegas, the window repairs we typically do aren’t very costly. I mean a lock can cost 3 or 4 dollars. What you are paying for with a window repair is typically the trip charge. Our minimum for anything is $150 dollars, because in today’s day and age, by the time you have a 15-minute phone call, then schedule an appointment, then pay a guy to drive across town to make a repair you’ve easily already spent $100. Then most times a window repair will need a second trip, causing the price to go up again. Unfortunately, many of our customers don’t like to pay us $150 dollars or more to fix something that costs $5.00 – But that is just the cost of the part. It doesn’t include gas, truck insurance, maintenance and the labor cost of someone who is skilled enough to repair the window. By all means, if you are unable to pay for a professional to repair your window, you can attempt to fix it yourself. There are just a few things to keep in mind. First of all, there are 100’s of window manufacturers, and they all have several different series of windows. For example, right now Milgard windows, has 6 or 7 series of windows. They have aluminum windows, 2 series of vinyl windows, fiberglass windows, I mean the list goes on and on and that is just one manufacturer. Each window series has different locks, different rollers, tracks, trim pieces, moldings, spacers and so forth. Multiply that by all the window manufacturers out there. Then, window manufacturers discontinue window lines. They go out of business altogether as well. To find all the parts and pieces that go with a particular window is next to impossible. To have access to every part and piece for every window in Las Vegas, is literally impossible. Some homeowners really don’t like to hear this and get mad at us when we tell them that. However, we did not create this situation, we simply are in the business and are here to help. The worst part, is 99 percent of windows don’t even need a repair in 50 years later, but every once in a while, you get a lemon, and it needs a little work. It’s funny, usually it’s the one you want to use. You may have 10 windows in your house that you never open, but the one window you want to use, is the one that doesn’t work right. In that case just use the parts and pieces from a window that you do not use, and you should be in good shape. One thing to watch out for is to make sure you don’t make things worse. I once had a customer ask me to come replace a lock for him on a bedroom window. The lock was discontinued and I told him, I could get an aftermarket lock and install it for him. But, it would cost $150.00 – Well he didn’t like that and decided to go to home depot and find a lock and replace it himself. He found a lock went home and began installing it. But the lock was a bit thicker than the previous ones so the screw he had weren’t catching into the metal, so he went back and got longer screws. Then when he screwed the lock into the window, the screw pushed into the window glass and popped the glass and it shattered into a thousand pieces. So, here’s what “saving” $150 dollars did for him. He spent 2 to 3 hours traveling back and forth to home depot looking around etc. Then he spent a few dollars on the lock and a box of screws. Then he spent $340 dollars to fix broken glass. Then another couple trips to home depot and $50 dollars for a sheet of plywood to board up the opening, since his home was open to the elements at this point. He would have been better off, working a couple hours’ overtime at something he was good at and using that money to pay someone who knows not to screw too far into a window. Also, if my guys would have popped the glass, we would have had to pay for it. However, don’t let this scare you away from doing your own window repairs, just be careful. In some cases, customers have ruined their window to such a point that they had to replace the entire window, but remember that is always an option. If you have a window repair and it’s going to cost a couple hundred dollars, why not just replace the entire window? It’s upgrading your home, they look better, they save on energy costs so over time you will get your money back. So, there you have my two cents on Window Repair Las Vegas, hopefully it helps. If you would like to see some more information on windows and glass why not check out our Pinterest board that shows several great ideas on what to do with windows and glass.